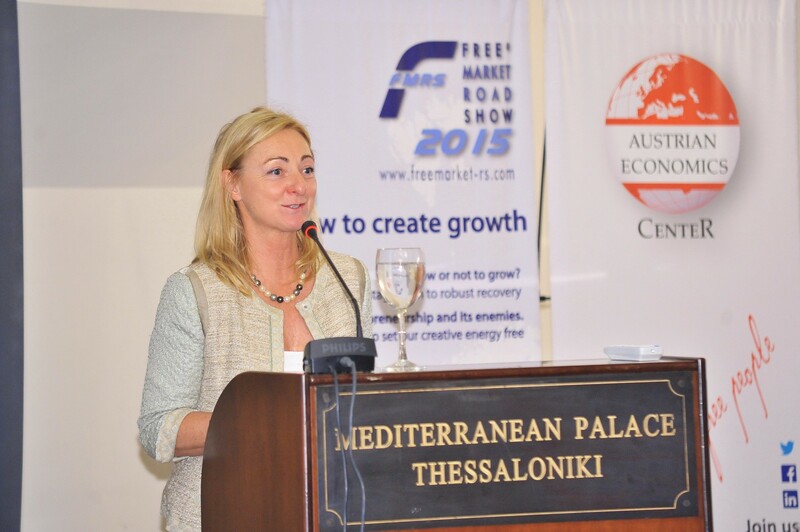 The Free Market Road Show visited Thessaloniki on May 21st. It is a visit that we won’t forget in a very long time. Establishing an absolute record for the Road Show, the event had almost one thousand attendees and had to be run with parallel sessions in two separate rooms. Prior to the event more about 1,200 people had registered on line. The organizers were prepared for a huge attendance but until the time of the event no one really knew how many people would come. On the center of the imagge: Austrian Honorary Consul Eveline Papadopulou, the Mayor of Thessaloniki Yannis Boutaris, and City councellor Simon Bessanson. The audience that actually came overwhelmed us. The hotel lobby was packed. Elevators went up and down at full capacity and incessantly. People crowded the stairs, too. Against our usual practices, the event had to start an hour later than scheduled. The people in charge of registration worked hectically but nonetheless the process was very difficult. In both rooms some kids sit on the floor and many had to stand. Although room capacity was 450 and 350 respectively, it was not enough. At one point somebody from the hotel announced that they have (literally) run out of chairs. The event was comprised of two panels, one hour long each. In both rooms, until the very end of the second (and last) panel there were still people sitting on the floor and people standing. This clearly shows the level of interest and commitment the attendees had. 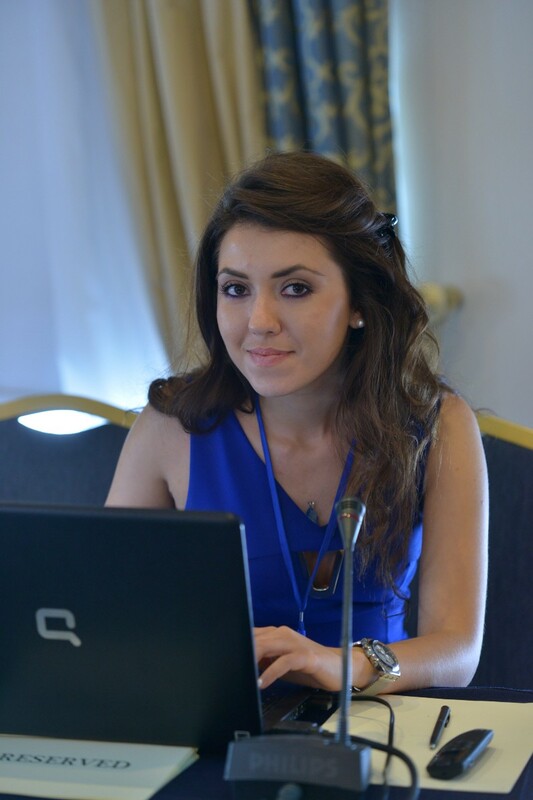 It should also be mentioned that this terrific turn out would not have been possible without the spectacular work of Anna Kotsaki, a talented young girl and former intern at the Austrian Economics Center, and her group of young volunteers. 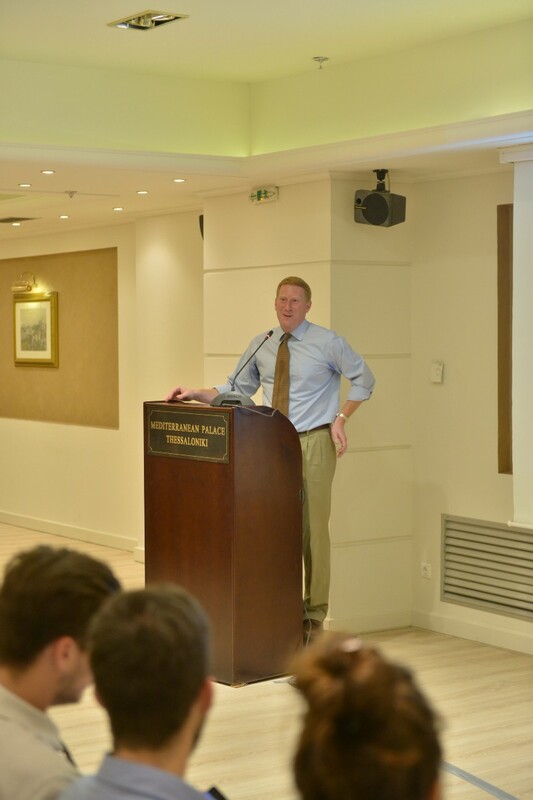 Content wise, the visit to Thessaloniki delivered a distinct message in favor of individual freedom, free enterprise, liberalization, and limited government. Needless to say, these qualities are scarce in contemporary Greece. Greek-American economist John Charalambakis fired at will over the oligarchy that ruined his country. “The oligarchs in Greece have become rich through the government so their wealth should be confiscated,” he clearly stated. Austrian Economics for the masses, according to Barbara Kolm and the Free Market Road Show. Later on came the turn of Barbara Kolm, the FMRS Director. 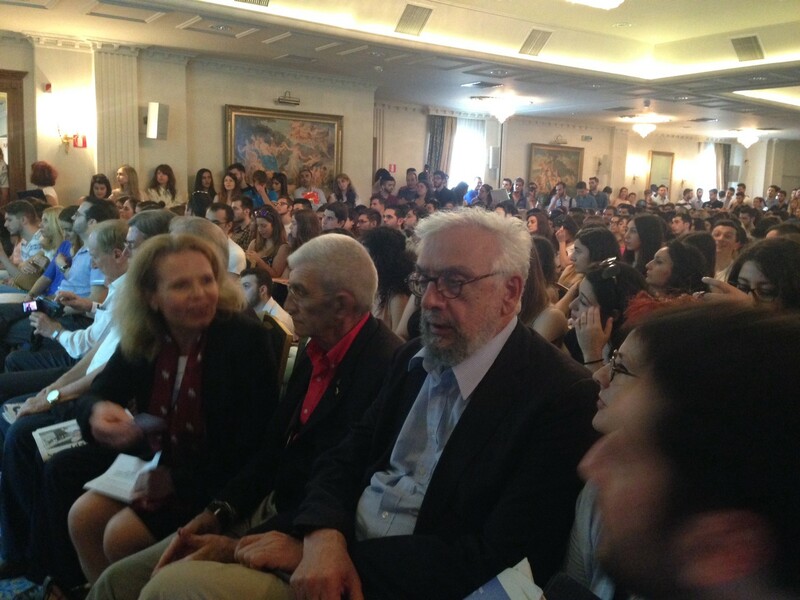 Ms. Kolm gave a courageous speech denouncing some of the evils that haunt Greece and the European Union in general. She referred to the current threat of so-called tax harmonization. “What we need is not harmonization but limited, flat, simple taxes. We also need more tax competition between countries and regions,” said the Austrian economist. “Greece and Europe must abandon, as soon as possible, the entitlement mentality. We have to go back to the achievement principle,” indicated Ms. Kolm who reminded the Greek authorities that it is not populism but free and competitive markets what brings economic growth. Lastly, we will mention Ben Powell — who is currently leading the Free Market Institute at Texas Tech University. Mr. Powell stressed the importance of property rights, prices, and profits and losses. It is only with all of these elements that entrepreneurs can have the right signals and incentives to have a positive impact on the economy. If you’ve liked this, please click on ‘Recommend’. If you want to know everything from the 2015 Free Market Road Show don’t forget to ‘Follow’ the Free Market Diaries. You can find me on Twitter as well. The Free Market Diaries share with you the experiences, the people and the topics that will be unveiled along of the fantastic journey of the Free Market Road Show.